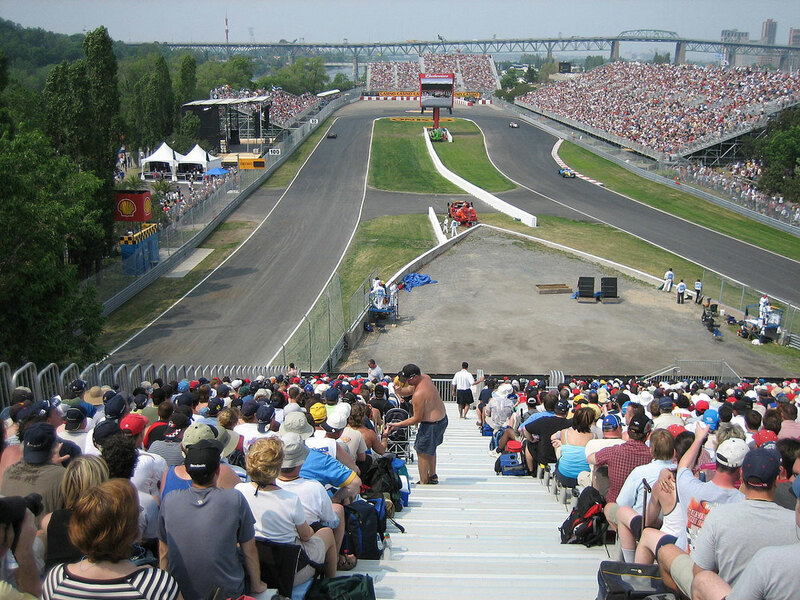 Let The F1 Spectator Canada page guide you around Montreal’s Circuit Gilles Villeneuve as you make your travel plans for the 2017 Canadian Grand Prix. 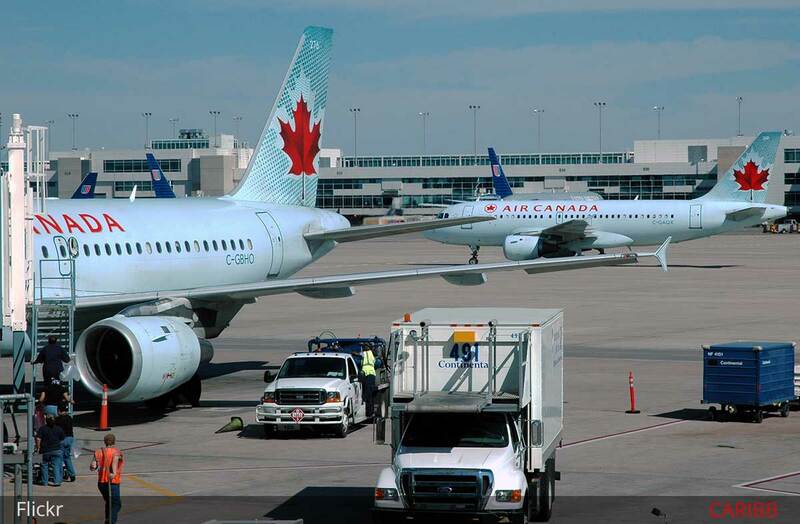 Montreal’s Pierre Elliott-Trudeau International Airport handles all domestic and non domestic flights. From here you can reach the downtown area in 20 minutes on shuttle buses, taxis and car rental. The 24 hr Airport Express bus 747 costs $10. Alternatively a weekend pass (6PM Friday until 5AM Monday)) for unlimited travel on the city’s integrated bus and metro systems can be picked up for just $13 and will cover you for the trip downtown as well as to and from the circuit each day. The service terminates at the intercity bus station and can take over an hour in heavy traffic. 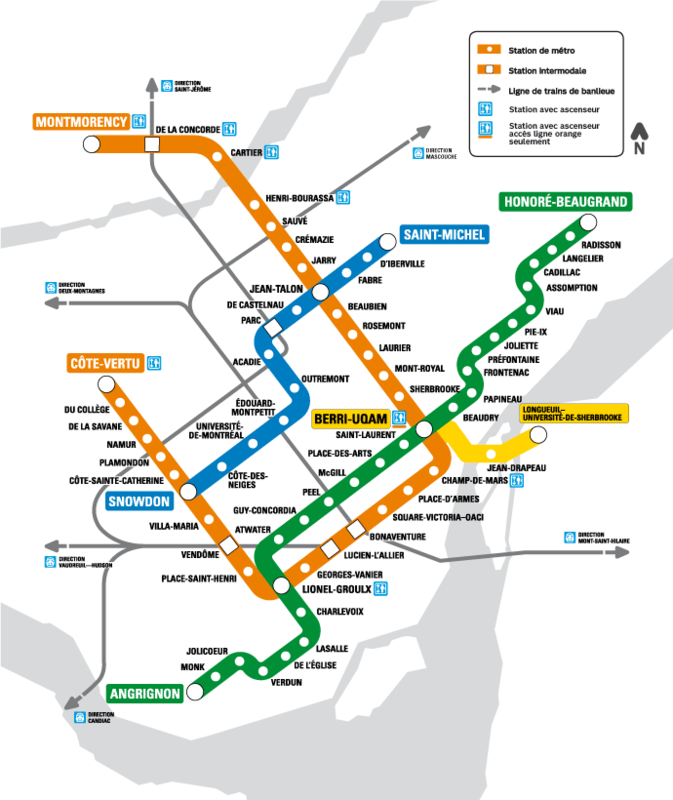 From here you can transfer to local bus or metro (Berri-UQAM station). Depending on where you’re staying you might consider getting off at the first metro station (about 20 minutes) and taking the train from there. Taxis to downtown are at a fixed rate of $40 and in theory should accept credit cards as well as cash but check with the driver before getting in. All other destinations are on a meter with a $17 minimum charge. choice of the vast majority of race fans. 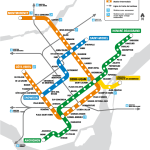 The Montreal Subway System (STM) services the Jean-Drapeau station on the yellow line, located close to the circuit Gilles Villeneuve and should take between 10 and 40 minutes depending on where you’re staying downtown. Leave in good time and be aware there will be a 10-25 minute walk from the circuit depending on where you are seated at the track (see the boxed text below). The trains normally run every 4-5 minutes on weekdays and 8-11 minutes at the weekend but during peak times over a grand prix weekend more services will be put on. The metro can be crowded, especially on Sunday after the race, but station staff do their best to keep the lines moving, guiding and assisting people with tickets and generally things run smoothly. Be sure to get a return ticket to avoid the queues after the race. The fare is $3.50 for a single journey and are valid for up to 120 minutes after first use. 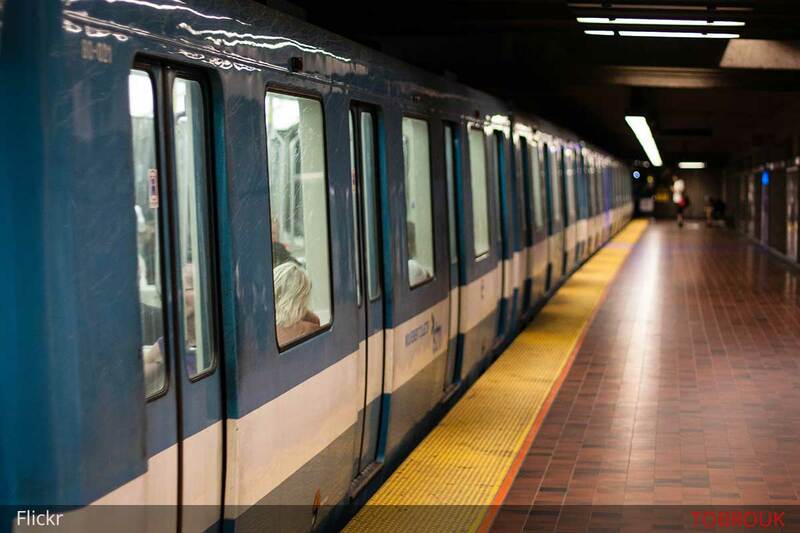 If you’re going to the track on Saturday and Sunday pick up a weekend pass for $13 and enjoy unlimited travel on Montreal’s integrated metro and bus systems from 6 p.m. on Friday to 5 a.m. on Monday. For Friday to Sunday grand prix goers a 3 day card is ideal allowing for unlimited use for 3 days (72hrs) from the time of first use for $18. Regular tickets and multi-day passes can be bought at any metro stations either from a ticket booth or from the ticket vending machines with cash or card. They can also be purchased from many authorized retailers around Montreal. If you have a ticket for unreserved seating on the day of the grand prix and are planning an early start, the first train is at 5:30am. The last train leaving the circuit is at 1am so there’s plenty of time for hanging around to soak up the ambiance. When you exit the Jean-Drapeau station you will need to access the circuit via one of two bridges that connect to Ile-Notredame. For the fastest route to grandstands 1, 2, 11, 12 and 33 take the path to the right, beside the fountains outside the station. You can then cross the Concorde Bridge. For grandstands 15, 21, 22, 24, 31 and 34 veer left after the station and cross the Cosmos bridge and from here follow the signs. You could save your legs and take bus 167 or 777 directly to the circuit gates or part of the way but you won’t save a lot of time, if any. If you want a more relaxed and altogether more original way of getting to the circuit you may consider the Navettes Maritimes river shuttle. It’s a bit pricier than the metro but still affordable at $7.50 for a one way crossing (free for children under 6). There are 4 services that will get you to the circuit in time for the race – starting at 09.35 there is one service every 60 minutes. Don’t go any later than 12.35 or you risk missing the start of the race. Coming back the last boat is at 18.45. Note that there are no ferry services on week days at this time of year. Board the ferry at Old Port of Montreal – a few minutes walk from Champ-de-Mars metro station – and hop off at Ile Ste-Helene. From here it’s a pleasant 10-15 minute walk to the circuit. On the opposite side of the river the boat docks at Port de Plaisance. It is not recommended to drive to the circuit as no parking is provided and there is little parking in the area. Leave the car at home at the hotel or within walking distance of a suburban metro station and hop on the metro to the circuit instead. In normal conditions a trip from downtown to the circuit will take about 10-15 minutes and cost $20-$30 depending on where you’re staying. 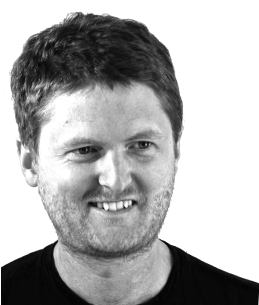 On a race weekend you could reasonably expect the heavy traffic to double those estimates. If you plan to take a taxi to and from the circuit it is strongly advised to arrange the return journey in advance.